So, You Want To Take My Rights? If you were to ask men and women of many cultures they will tell you that the glue or foundation of society is religion. You will find, in historic and present day commentaries, the honestly held belief that Religion is absolutely indispensable in our interaction with God and one another. You will also find those who point to the innumerable cases where religion became an excuse for unspeakable horrors and acts of barbarism. We are probed with regard to the biblical accounts of the slaughter of entire cities, cultures and races by the Israelites. We are asked to explain the imperialistic tendencies exhibited by the crusaders or the “Christianizing” of third world, non-Christian cultures by missionaries. All this and more is pinned on the lapel of religion. Religion has been blamed for countless battles, wars and insurrections throughout history, many of these are absolutely correct. The secular scholars believe that in criticizing Christianity for a preponderance of the atrocities throughout time, they are eliminating the effectiveness and/or witness of Christianity; this may be true. The modern day liberals, however, believe that they have also hampered the voice and appeal of the Christian faith. If the Gospel of Christ depended on religion this would certainly be true. The opponents of our Lord forgot, or never knew, that the word of Christ is not based in religion. The gospel of the savior is premised on relationship. Religion is a concept of man, born out of man’s desire and need for structure and nurtured in his superstition and lack of Faith. Religion, if it has any origin with God, came as a means of instructing man in the fallibility of his own flesh. We are, by nature, incapable of living righteously. That is not a decree of God. Our lack of righteousness is a direct result of our own decision in the garden. At the point when mankind, through Adam and Eve, made the decision to disobey God based on the lies of the serpent we lost our innocence and our righteousness. We surrendered all that God had intended for us and embarked on an existence of uncertainty and indecision. Man has created religion as a means of filling the void vacated by the relationship shared with the Creator. Yet, rather than turning back to God, we turned to works of our own hands and imagination. What foresight on the part of Satan; knowing in his twisted and suffering heart that he had lost all that was precious in his relationship with the father, he set out to encourage the same act of disobedience in God’s creation. He knew, however that this one act of disobedience would open the floodgates of man’s selfishness and desire. It did not require open rebellion as Satan himself had exhibited; only the momentary and rash decision of assuming “just this once will be alright”. As the centuries have passed, mankind has made attempt piled upon worthless attempt to fill that “God sized hole” left in the aftermath of his disobedience. With each successive try, the peace, tranquility and truth of the garden has faded into a mere shadow and we have, prodded by the lies and obfuscation of the King of Liars, clouded and twisted the truth at every turn. You need look no further than the countless of our churches, cathedrals and houses of worship. Mammon has replaced God. The warm fuzzy of self-absorption has replaced meaningful relationship and kinship with the Creator. Political correctness has replaced God’s righteousness. Ceremony has replaced repentance. People are so consumed by their own desires, be they ill or well-intentioned, that they have no concern for life beyond the here and now. The religion portrayed by the cold, pragmatic institutions of learning and science is a dead thing. The religion of mankind is a corpse; rotting and sending heavenward the stench of man’s desecration and hardness of heart. God doesn’t want our religion. What God seeks and demands of those who would seek him is relationship. 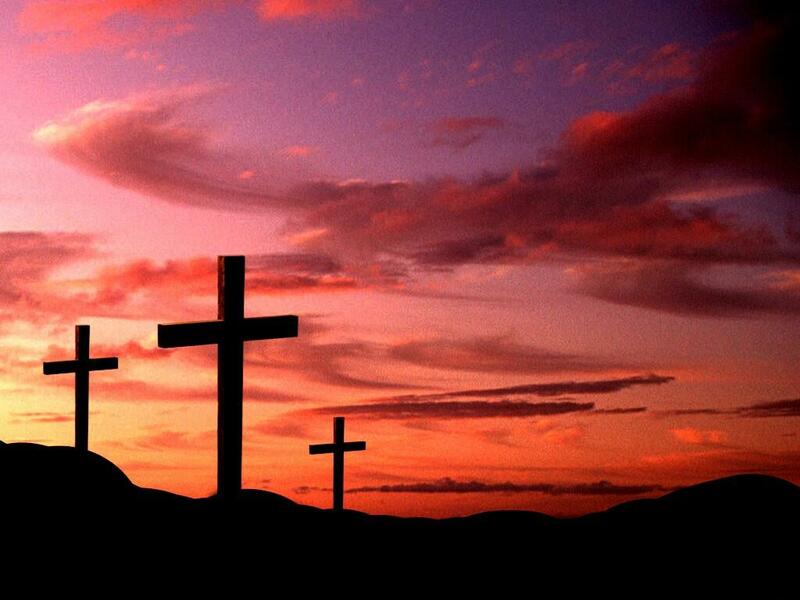 God created us, grieves for our transgressions and died for us. Then, in the greatest victory of all eternity, he rose from the grave and defeated death on our behalf. That’s not religion. It doesn’t even remotely resemble religion. That, ladies and gentlemen, is LOVE and RELATIONSHIP writ large on the canvas of the universe. So don’t tell me where your religious loyalties lie; tell me who your relationship is with. Ultimately, when it’s all said and done, that’s what will count.